SAGE is a global company with more than 6 million customers, over 13,400 employees and more than 25 years of experience working with small and medium sized businesses. Despite the global reach, the Company have built success on understanding and meeting the needs of customers in the local markets. Therefore the majority of their products and services are developed and supported locally. This ensures SAGE provides a choice of high quality products and services which are relevant to our customers, use the most appropriate technology and are supported by local experts. Sage Africa provides business software, services and support to small and medium sized businesses. The Company is in the small business market but also have the experience and expertise to meet the needs of specific industries and larger organisations. SAGE Africa is the developer and provider of SAGE Accounting Software and ERP, HR and payroll management software for businesses in Africa. The Company operates in 35 African countries. The software is used by more than 55 000 companies on the continent. SAGE Africa is a renowned expert in HR and payroll management and accounting software. SAGE Africa has been developing software for more than 28 years. SAGE Africa has solutions to meet the requirements of all businesses from small to big. SAGE Africa has extensive partner network and client support system that offers expert advice and support on legislation, accounting and HR solutions. Whether you are just starting a business, or your organisation employs more than 2,000 workers, SAGE Africa has accounting, HR and payroll solutions to support the growth and complexity of your business. 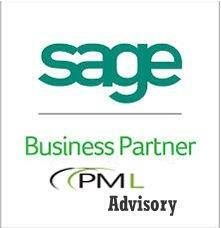 Through our relationship with SAGE as a partner, PML Advisory Limited can assist you with installation, training, on-site deployment and support for deployment of accounting software for your organisation. Our high professional skills, understanding of accounting, payroll and HR enable us to provide your business with relevant and practical solutions to meet their accounting, HR and payroll needs.